Itel launched its first 5.45” FWVGA+ full screen display smartphone with 4000mAh Li-Polymer battery and Dual Rear Camera in the Indian market. The itel A44 Power comes with advanced features promising a delightful smartphone experience for customers. The device runs on Android Oreo and costs Rs 5,999/-. The itel A44 Power comes with 5.45 “HD+ FWVGA+ Full Screen Display screen along with 4000 mAh Li-Polymer battery, Dual Camera and Face Unlock making it itel’s first in the sub 6k segment. 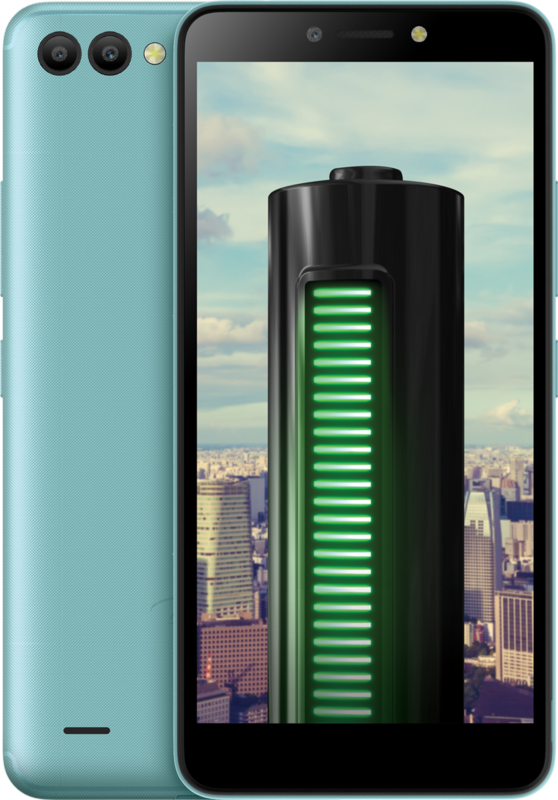 itel A44 Power runs on 4000mAh Li-Polymer battery optimised to give upto 3 days battery backup in 1 charge on normal usage. 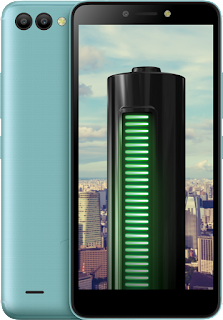 Despite bigger battery, it has a compact design with a 9.5mm thickness with vibrant colours. It also has an OTG Power Bank support which can also charge other phones. The device comes with Android™ 8.1 Go edition OS for quick and seamless multitasking. The itel A44 Power is powered by 64 bit 1.4 GHz quad core processor for fast and smooth performance. It is equipped with 1GB RAM and 8GB internal storage along with a dedicated expandable memory up to 32GB. From a camera perspective, the smartphone is equipped with a 5MP + VGA Dual Rear Camera and 2 MP selfie camera, both with flash. itel A44 Power will be available across India today onwards. Tech Mahindra, a leading provider of digital transformation, consulting and business re-engineering services and solutions, and BioNEST, a bio-incubator formed with the support of the Biotechnology Industry Research Assistance Council (BIRAC), a Government of India enterprise under the Department of Biotechnology, Ministry of Science & Technology – “UoH-BIONEST”, have today announced collaboration to drive research and co-innovation in pharmaceutical and biotechnology space. The enterprises have signed a MoU (Memorandum of Understanding) to enable development of new technology platforms, and to foster the pharmaceutical and biotechnology innovation ecosystem in the country. The MoU was signed in the presence of Prof. Podile Appa Rao, Vice Chancellor, University of Hyderabad, Prof. Gandham Prasad, Director, TIE-U, Prof. Pallu Reddanna, Project investigator, UoH-BioNEST, Mr. Kandimalla Venugopal, Global Head Healthcare and Life Sciences, Tech Mahindra, Dr. Palakodeti, Ratnakar, Head Life sciences and Healthcare, Tech Mahindra, and other dignitaries. Tech Mahindra’s collaboration with BioNEST will also enable industry and academia partnership, and ensure efficient exchange of knowledge in the area. Tech Mahindra will also provide technical and business mentorship for IP (Intellectual Property) and technology management, legal and contract, resource mobilization and networking platform. Healthcare and Life Sciences vertical at Tech Mahindra works on new ideas and concepts by leveraging digital technologies. As the technology partner of BioNEST, Tech Mahindra will assist in providing all the technology support for the incubates within the center, along with joint go-to-market opportunities . With state of the art facilities, the bio-incubator with a size of 20000 sq. ft., is located at the School of Life Sciences, University of Hyderabad. Prof. Podile Appa Rao, considers this memorandum of understanding between UoH-BioNEST and Tech Mahindra will bring high-motivation among young entrepreneurs, and hoped for better translational outcomes through the culmination of information technology and artificial intelligence to the Life Sciences arena. Tech Mahindra’s TechMNxt charter is all about “Collaborative Disruption”, and focuses on creating an ecosystem that supports collaboration in the real sense. As a step in this direction, Tech Mahindra has collaborated with some of the most exceptional start-ups, academia, drawing from the millennial workforce, and jointly creating cutting-edge technology solutions with partners. OPPO's sub brand Realme has entered into exclusive partnership with Reliance digital for offline sales of their products. Earlier the brand was available only on online platforms hence the company said that this is a part of the brand’s commitment towards ‘Realme for every India’, bringing products packed with power and style closer to the consumers. In the first phase of the partnership, Realme smartphones will be available at more than 130 cities across 600 Reliance Digital & My Jio stores starting from this Diwali for the customers. Expressing delight on the partnership, Madhav Sheth, Chief Executive Officer, Realme India, said, “Realme as young brand is committed to delivering a differentiated experience to our customers with our products that deliver power and style. With this partnership with Reliance stores, we are proud to have more locations to deliver this experience and welcome customers to the Realme family. While the market responded well, we are expanding our sales channels to reach out to the growing demands which is a testimony to our approach ‘Realme for every Indian’”. “Through this partnership, we want to cater to the audience who does not have an access to the online platform and who want to compare and understand before making any decisions”, he added. Realme in India adopted an online first approach as India is the most emerging online market in the world. With overwhelming response from consumers towards Realme offerings, it becomes imperative for the company to expand sales channels to reach out to more customers. Realme will focus on providing seamless service, maintaining the ‘Power and Style’ standard through associating with selected partners who can provide powerful service and stylized experience. Starting from January 2019, Realme will be expanding its footprints to top 10 cities to look for exclusive distribution partners. Since its launch in May 2018, Realme products have been receiving immense popularity topping the charts. Recently the young brand created a milestone by selling 2 million units during the Big Billion Day and Festive Dhamaka sale on Flipkart. Furthermore, according to a worldwide report by Strategy Analytics, Realme has been ranked as the top leader in consumer satisfaction. Diwali is less than a week away and markets are flooded with all sort of products, sales, discounts etc. Indian markets have always catered to the festive season well, taking note of which multi national companies such as Amazon, Samsung, Honor, LG and every other small or big brand has come out with their best products and best discount offers. Sensing that Diwali is no less than Christmas of the west, MNCs are busy now a days in making most of the season. So what are you waiting for, follow below twitter post and vote for the emoji you would like to see next to #HappyDiwali. Guess what? This year, we want you to choose which emoji you'd like to see next to #HappyDiwali on Twitter. Watch the video, and then vote in the poll below. You have 24 hours, so get voting!